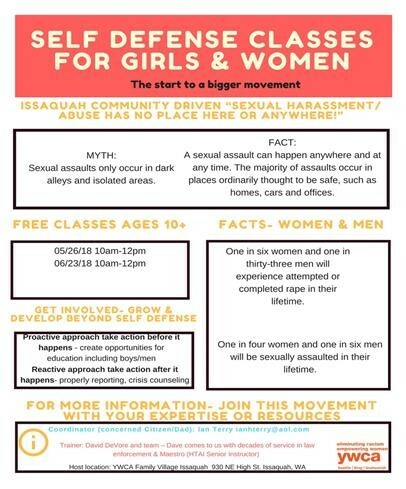 FREE Self defense classes for girls & women (10+). Trainer David DeVore and team will be teaching this class. He has served decades in law enforcement and is also a black belt in Filipino Martial Arts. He’s held numerous self-defense classes across the region and is excited to bring his knowledge to our community. This two hour session will be a basics course but you will leave with some tangible skills. Wear some comfortable clothes and shoes for the session and come ready to have some fun while learning valuable life skills.